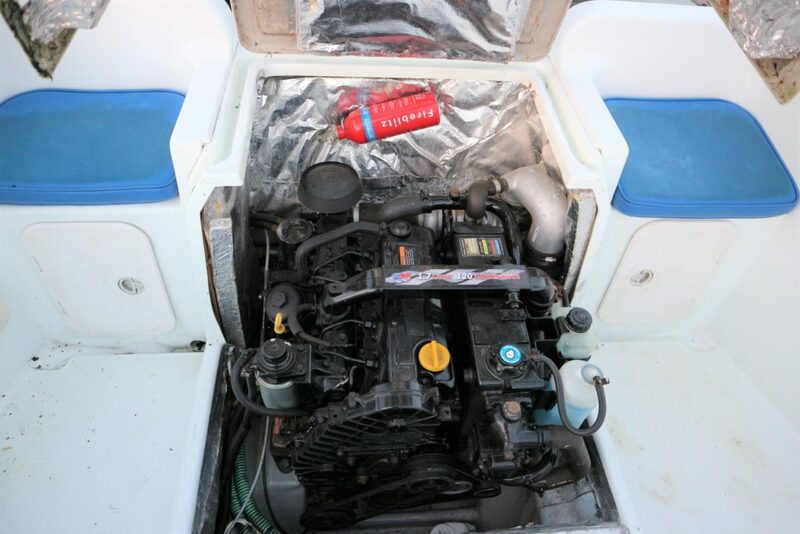 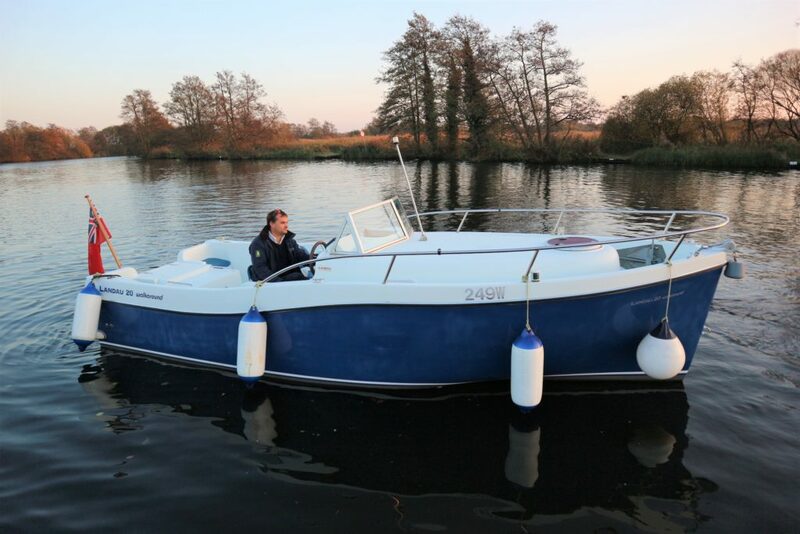 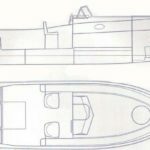 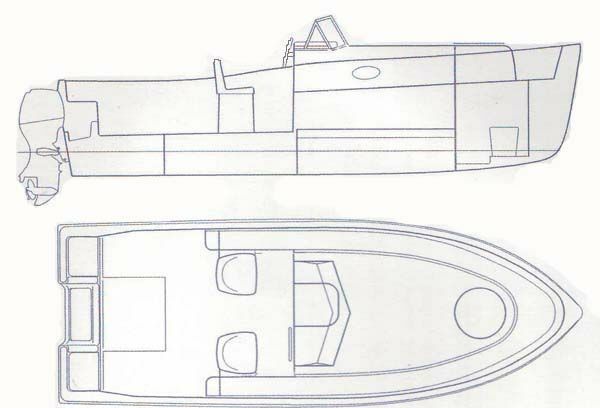 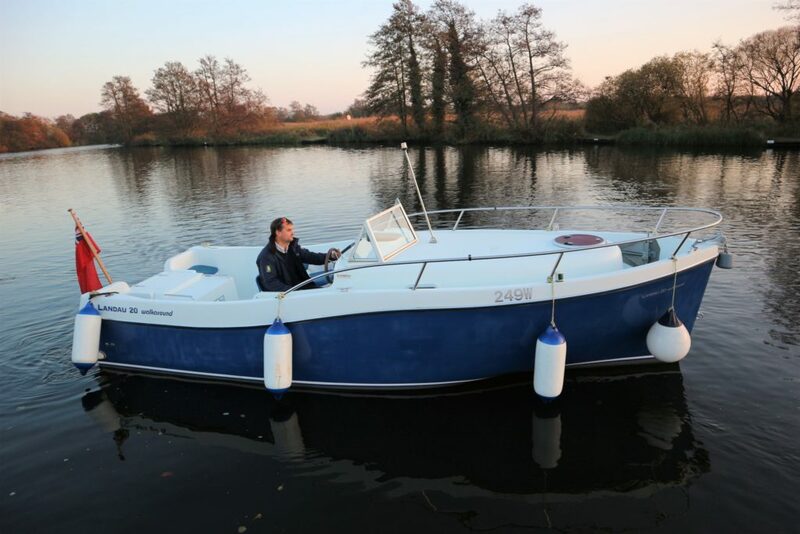 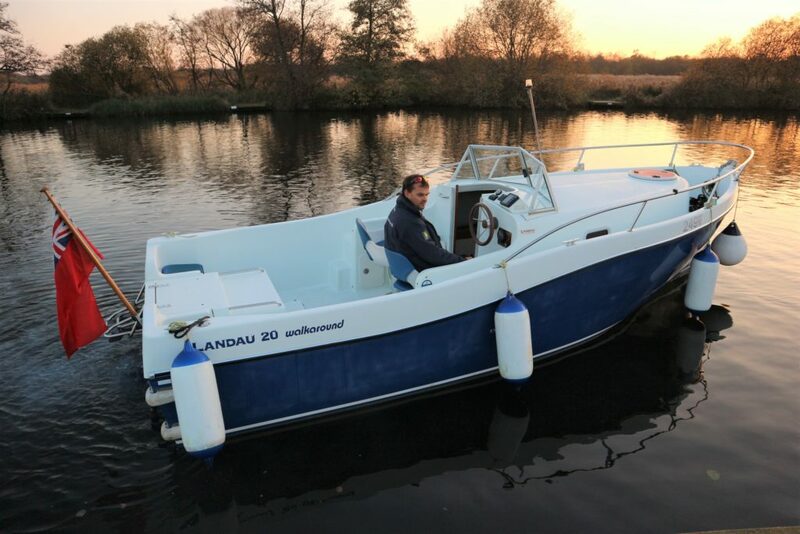 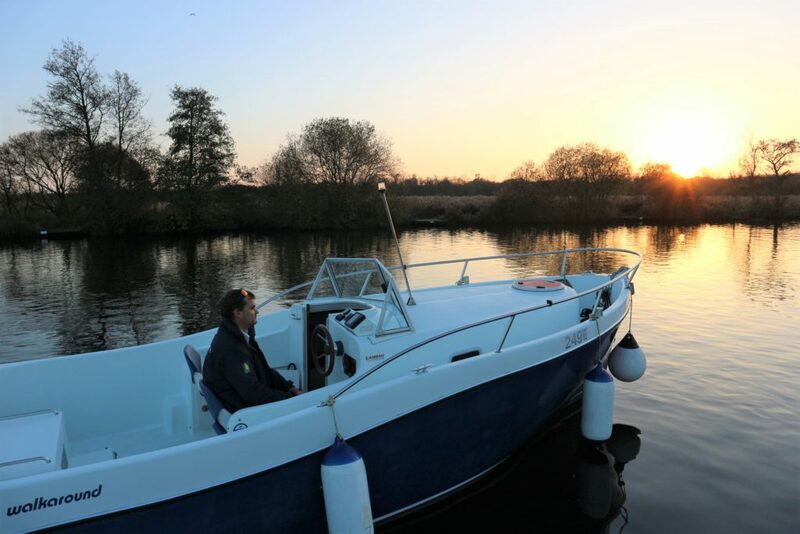 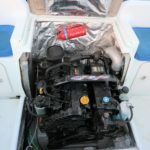 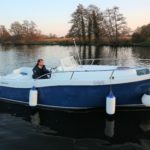 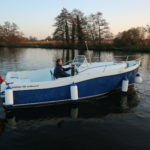 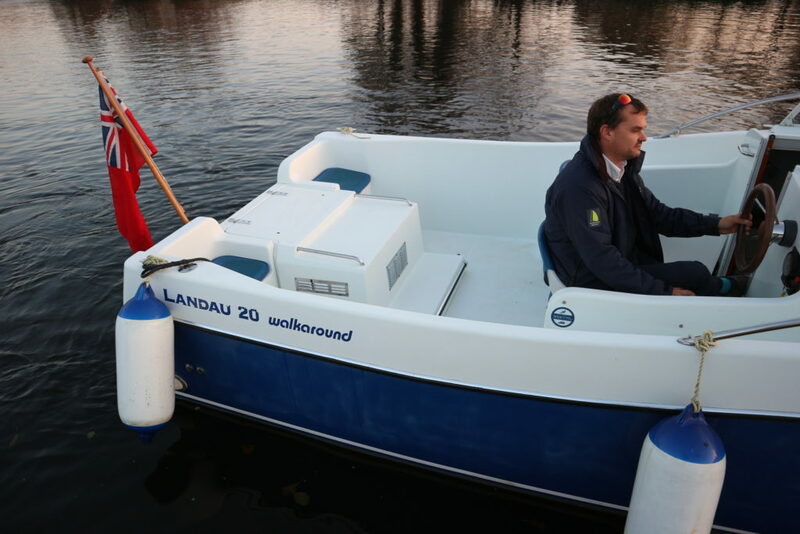 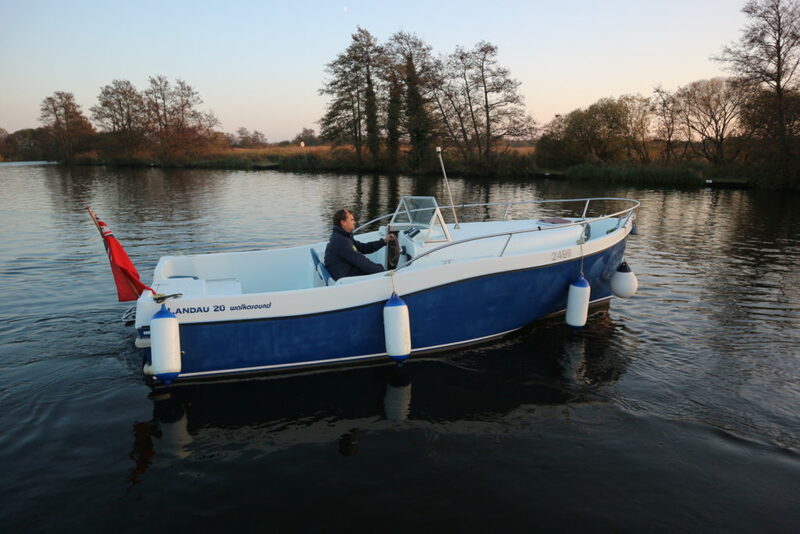 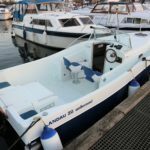 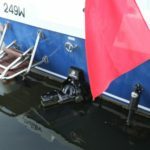 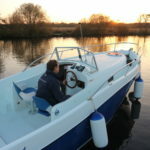 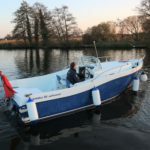 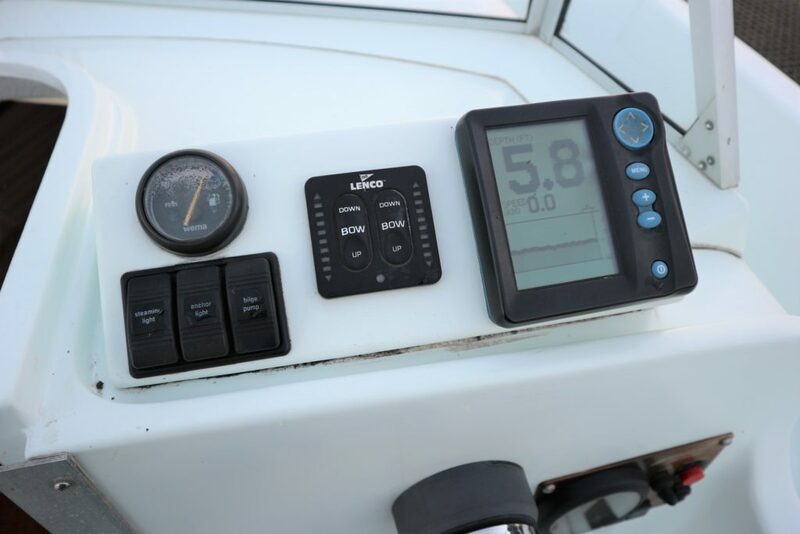 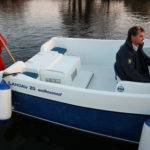 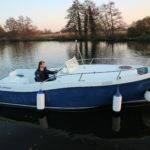 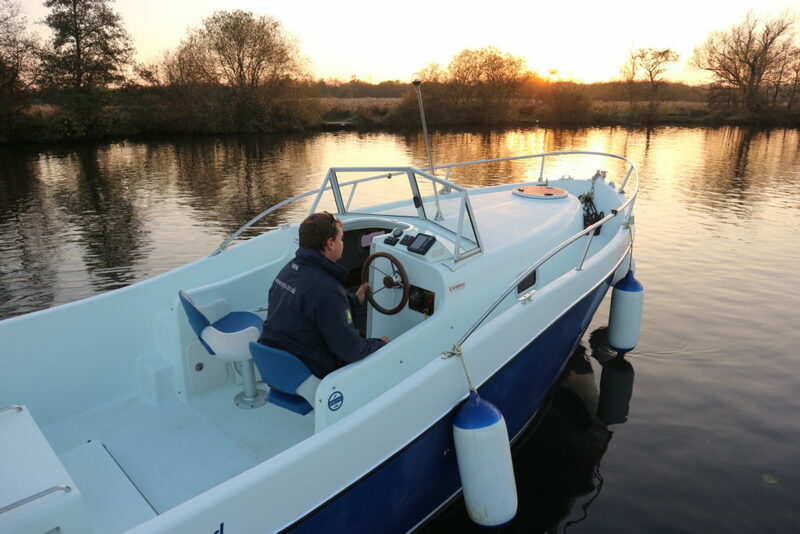 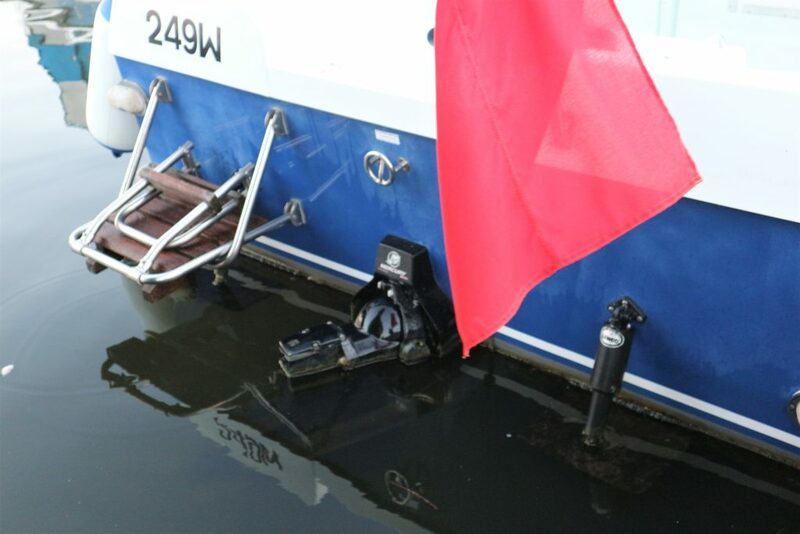 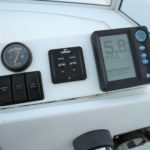 LOA (Metres/Feet): 06.10m / 20' 0"
Draft (Metres/Feet): 00.61m / 2' 0"
Beam (Metres/Feet): 02.21m / 7' 3"
LANDAU 20 WALKAROUND – 2005 – 1 x Mercruiser 120hp Diesel inboard engine. 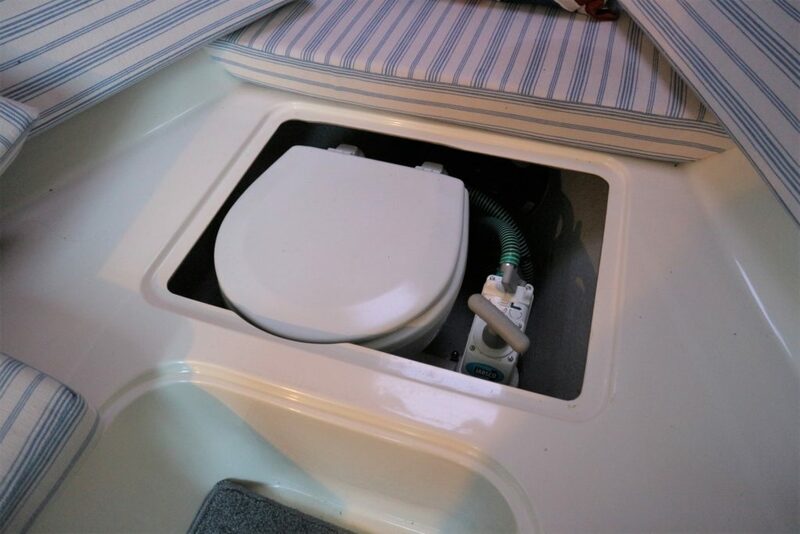 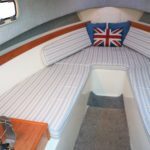 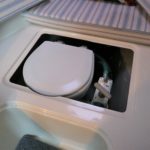 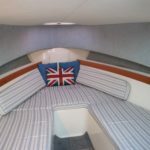 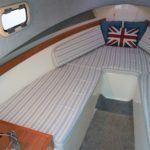 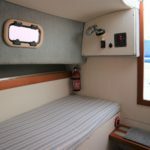 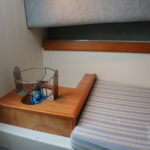 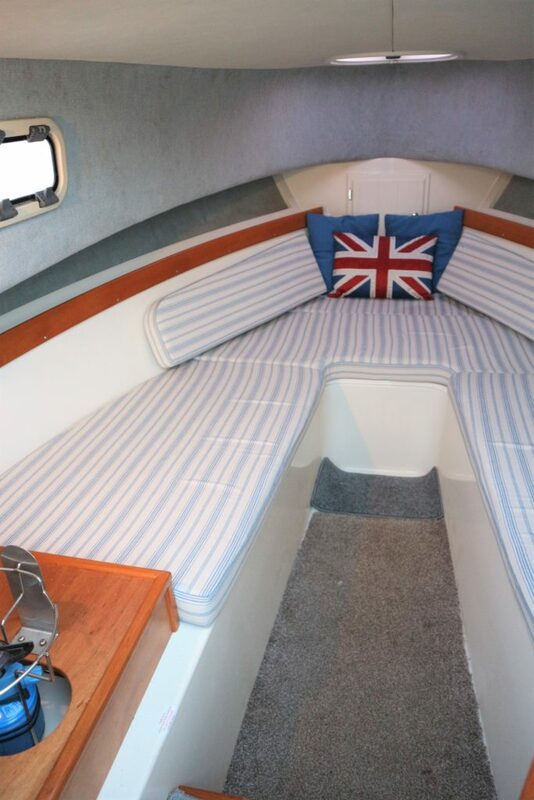 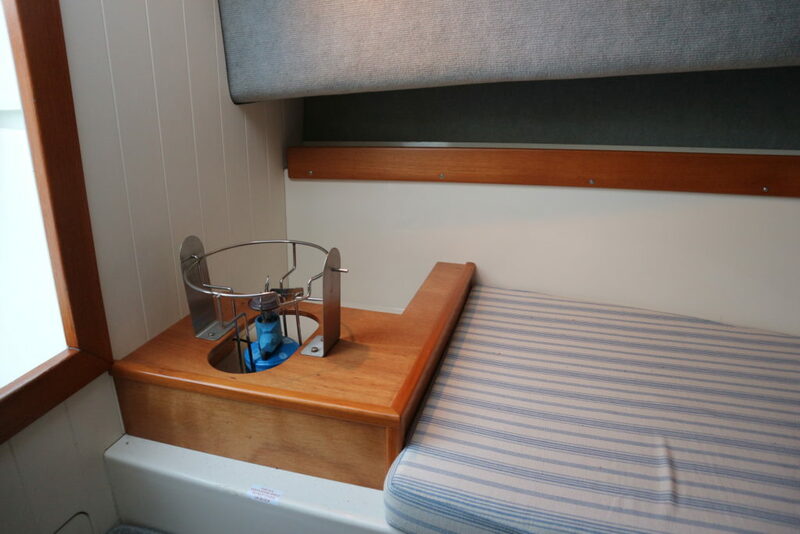 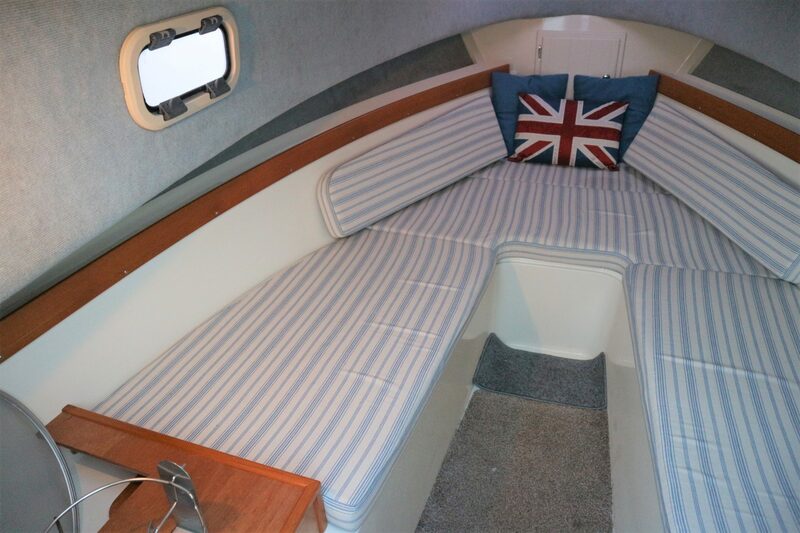 2 berth accommodation with V-berth in cuddy cabin and sea toilet. 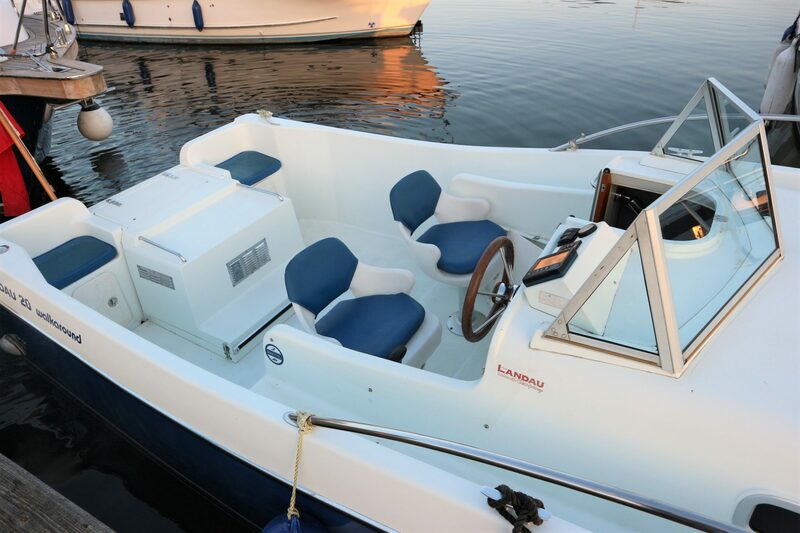 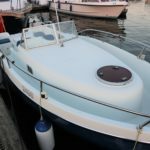 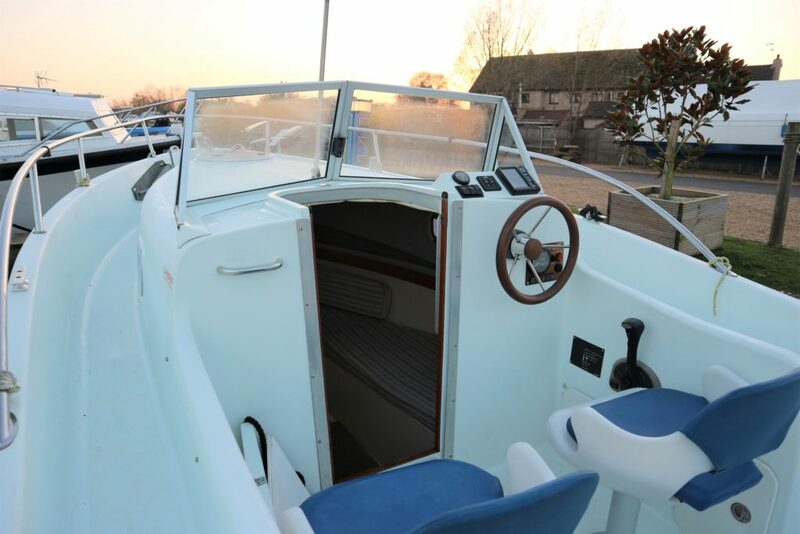 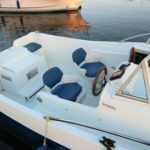 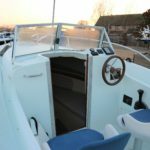 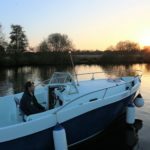 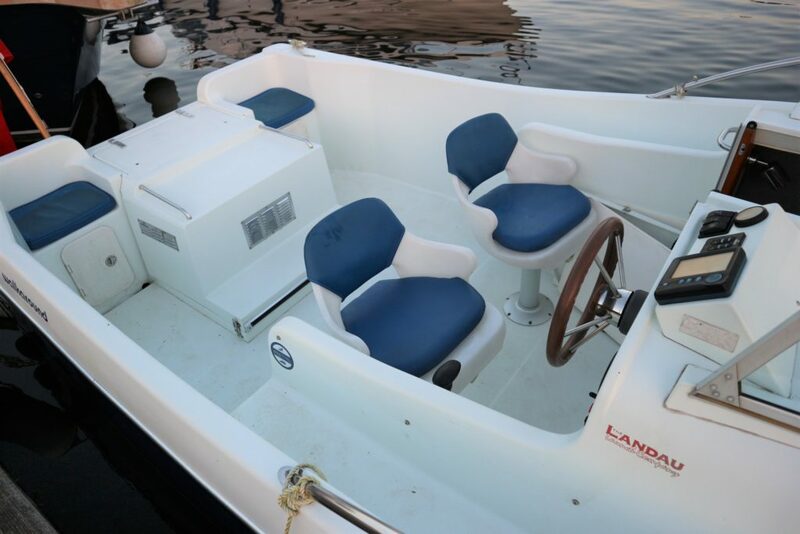 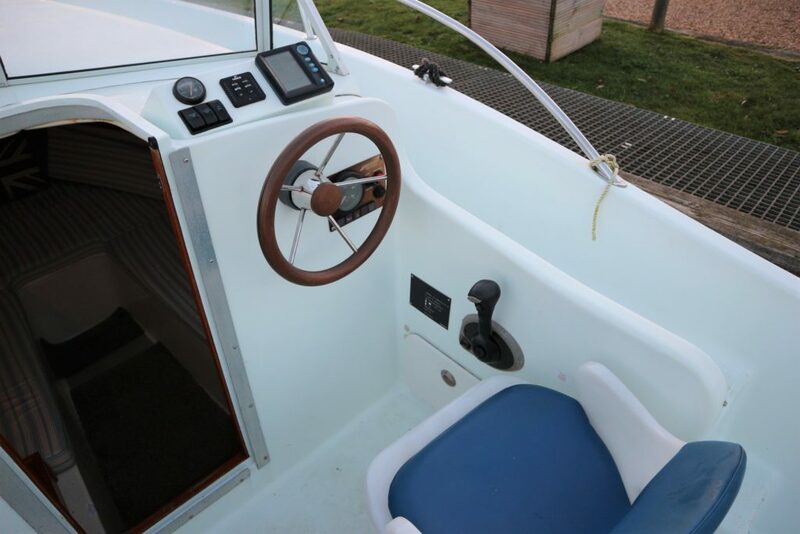 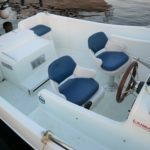 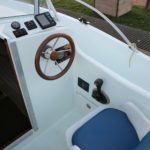 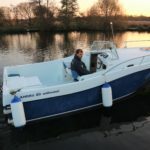 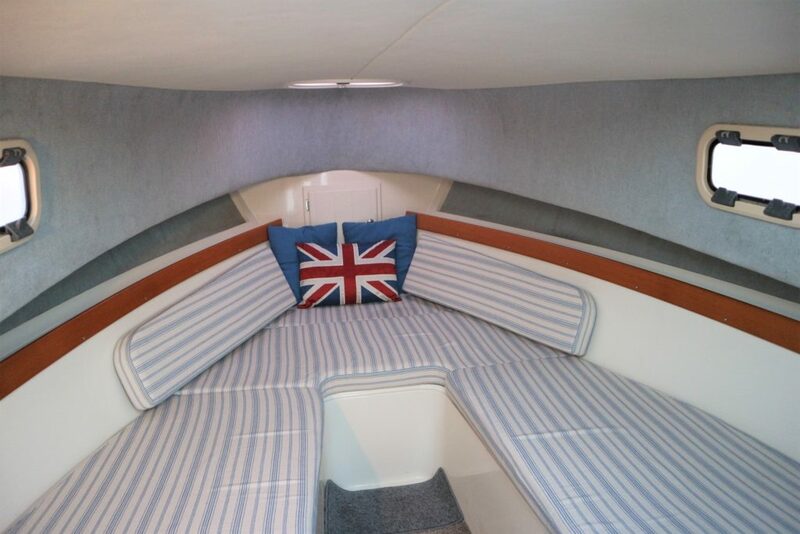 Twin rotating helm seats with a further two transom seats, Bimini sunshade, speed and depth log, trim tabs. 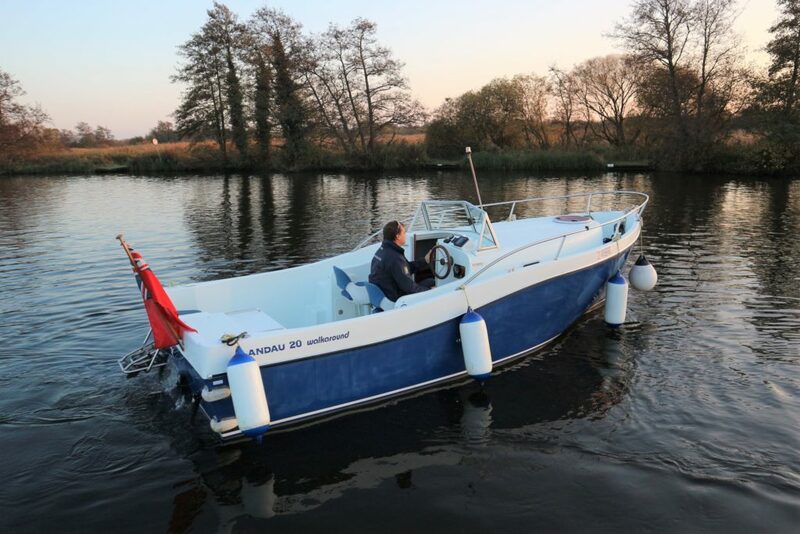 A striking launch with lively performance and great stability. 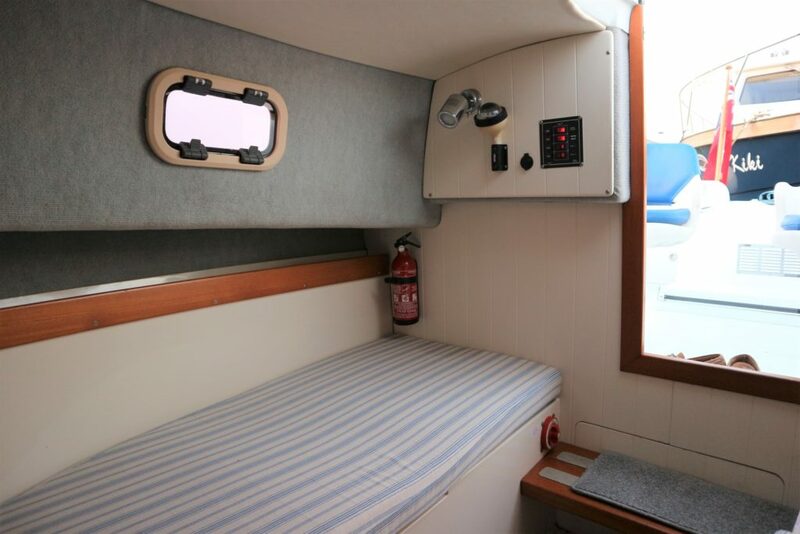 Offering easy deck access and overnight accommodation for two. 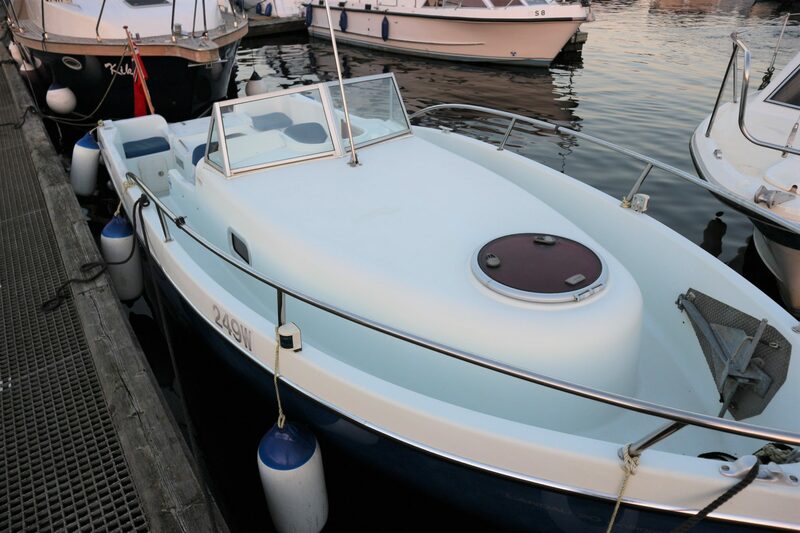 A very rare model boasting and inboard diesel engine, built to display at the Southampton Boat Show in 2005. 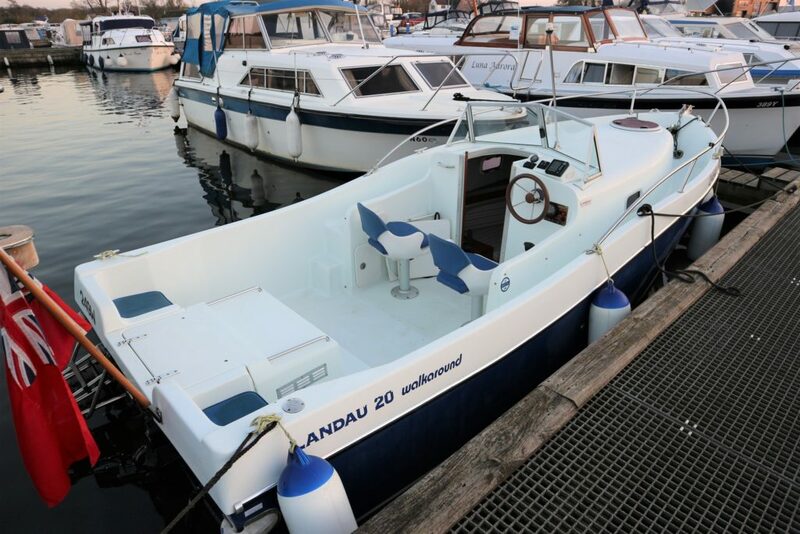 Lifted, pressure washed, antifouled and polished in 02/18 by Summercraft of Wroxham.